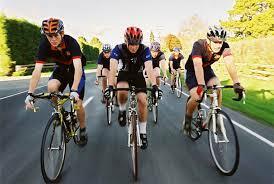 The longest annual charity bicycle ride in the world, the LIVESTRONG Texas 4000 team, will be rolling through San Andreas on June 18, 2013 just 18 days after departing from Austin, Texas on to their final destination of Anchorage, Alaska. While in San Andreas, the 2013 LIVESTRONG Texas 4000 Team will celebrate and share Hope, Knowledge and Charity with friends and family before continuing on their 70-day journey. Sixty-nine, undergraduate and graduate, students from the University of Texas at Austin brave the rain, sleet, wind, snow, heat and will pedal over 4,500 miles in support of the fight against cancer. Along their journey, riders will volunteer at community events that contribute in the fight against cancer and visit with cancer survivors, patients, caregivers, and family members to make educational presentations about cancer prevention and early detection. They also use this time to offer hope, encouragement and share their personal stories to cancer fighters of all ages and to those who have been affected by the disease. Every encounter is an inspirational story the riders carry with them on their journey and quest to fight cancer. In its tenth year, 69 student riders began their journey in Austin on June 1, 2013 with a 70-mile community bike ride called ATLAS. From there, the riders head north, separating into three routes: Rockies, Sierra, and Ozarks as they continue on a ride twice as long as the Tour de France. Previously, riders separated into two routes- Rockies and Sierra-, but a new route –Ozarks- was created to celebrate the organization’s 10th year anniversary. The Ozarks route will hit almost double the population than the Sierra and Rockies routes combined, staying true to Texas 4000’s mission in spreading hope to as many people as possible. Major cities on the route include College Station, Houston, Little Rock, St. Louis, Chicago, Milwaukee, Madison, Minneapolis, Winnipeg, and Edmonton. Texas 4000 began 10 years ago when, Chris Condit a University of Texas student and cancer survivor, sought a way to share a message of hope, knowledge and charity to those with cancer. Since then, Texas 4000 has sent over 350 riders on their bicycles, traveling more than 1.9 million miles to honor those affected by cancer. Collectively, these riders have raised more than $4 million for the fight against cancer, funding cancer research projects at MD Anderson Cancer Center, The University of Texas Biomedical Engineering Department, and survivorship programs such as the LIVESTRONG Navigational Services Center. If any message should be endorsed, it is that the fight against cancer cannot be won alone. A disease this broad that spans so many lives and all ages, ethnicities, races, and genders requires the persistent strength, support, and knowledge of the entire community to overcome. Texas 4000 is a nonprofit organization dedicated to preventing and fighting cancer. Each year a team of dedicated University of Texas students brave the elements to complete a more than 4,000-mile bike ride from Austin, Texas to Anchorage, Alaska sharing Hope, Knowledge and Charity along the way. As their flagship event of the year, the LIVESTRONG Texas 4000 ride is the longest annual charity event bike ride in the world. Texas 4000 riders train, fundraise and develop as leaders and servants in the community and to date have contributed more than $4 million to the fight against cancer. Cultivating the leaders of tomorrow, Texas 4000 organizes and performs numerous charity events including the Texas 4000 Tribute gala and the ATLAS Ride send-off throughout the year. To learn how you can join the cancer-fighting journey, visit: www.texas4000.org.